Welcome To The Atlas Family, Power Marketplace! Atlas properties is thrilled to further expand our management in Arizona and break into the greater Phoenix area with the newest addition to the list of properties we manage, Power Marketplace! Power Marketplace is ideally situated in the affluent suburb of Queen Creek and adjacent to Arizona State University Polytechnic Campus. Queen Creek is a growing community with high income and low cost of living, meaning residents have high discretionary incomes to spend on retail, dining and services, making it the perfect place for businesses to thrive. 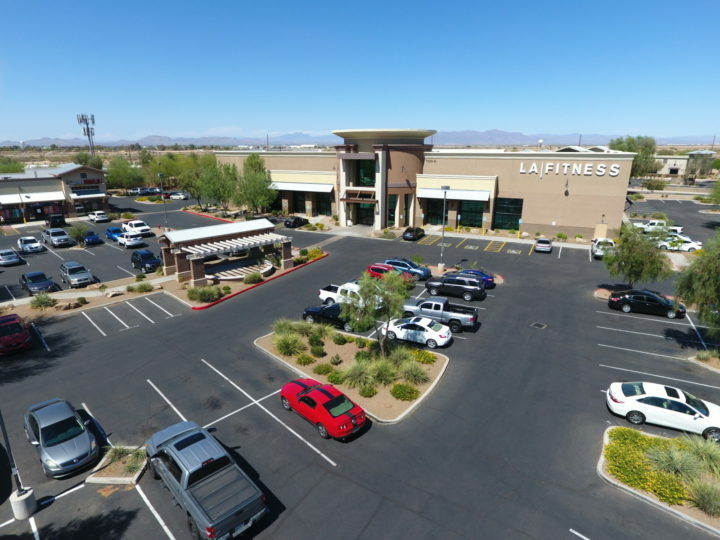 Power Marketplace features an ideal tenant mix with nationally recognizable occupants such as LA Fitness, Dunkin Donuts, Taco Bell and Edward Jones. As well as highly rated local establishments such as Bar Vinedo, The Bike Shop and Queen Creek Smiles. Among all these great companies there are still several spaces available for lease at Power Marketplace. Don’t miss out on the opportunity to lease in Queen Creek’s best retail destination! For more information head to the Power Marketplace website, take a look at the Power Marketplace Brochure, or reach out to us at contactus@atlasland.com or by phone at (949) 545-2599.